In Boston, we give St. Patrick’s day the epic celebration it deserves. Where are the top spots to party this Paddy’s Day? Read on for our top Tablelist picks, from bar crawls to bottle service and more. 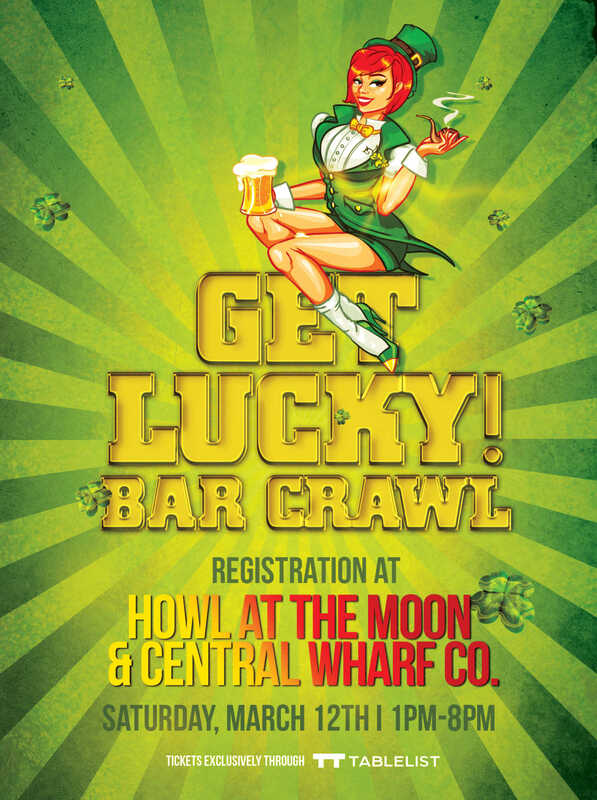 Nothing says St. Paddy’s quite like a classic bar crawl. Buy your ticket ahead of time, Early Birds get a custom “Get Lucky” T-Shirt, St Paddy’s Day Hat & other green gear.